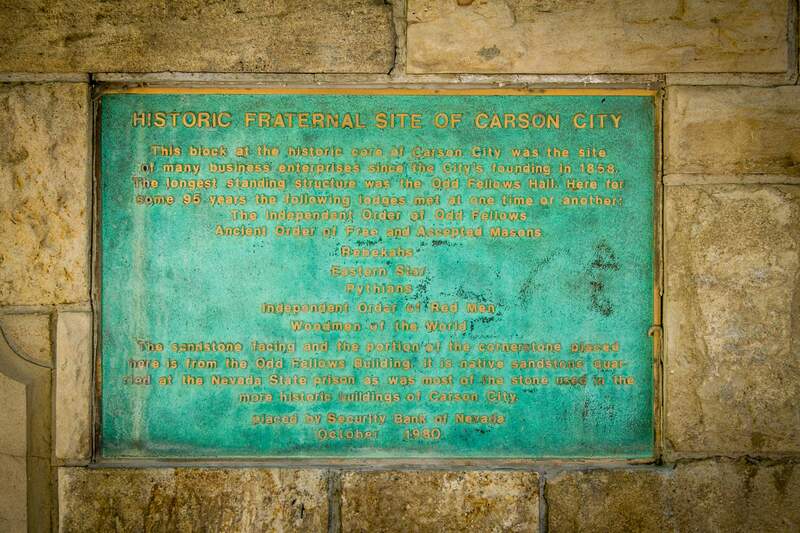 Many of Carson City’s historic buildings have been saved so that we can still enjoy them today. The historic downtown core still has a lot of the buildings that were around over a hundred years ago. A visitor from the 1800s would find quite a few familiar places if they were to walk downtown. However, not every building was that lucky. Some of the city’s historic buildings have unfortunately been demolished over time. 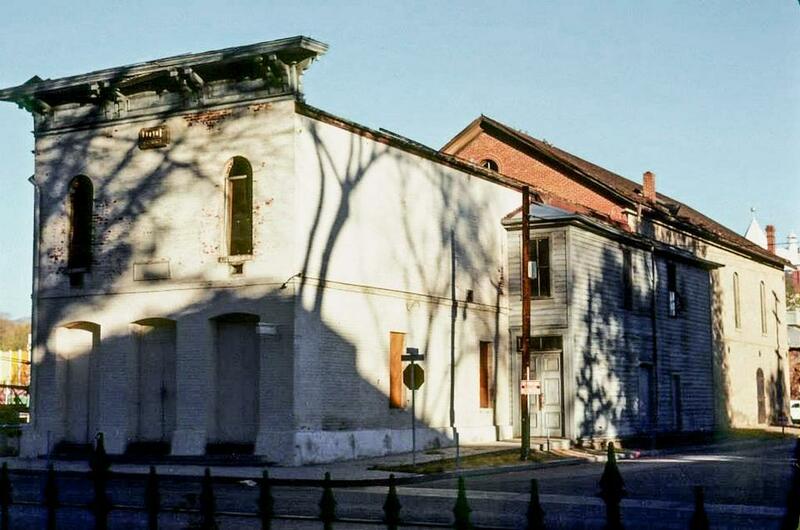 Many of them were knocked down before preservation became a hot topic in the middle of the 20th century, but a surprising number were torn down in the late 20th century too, during a time where you think people would have known better. 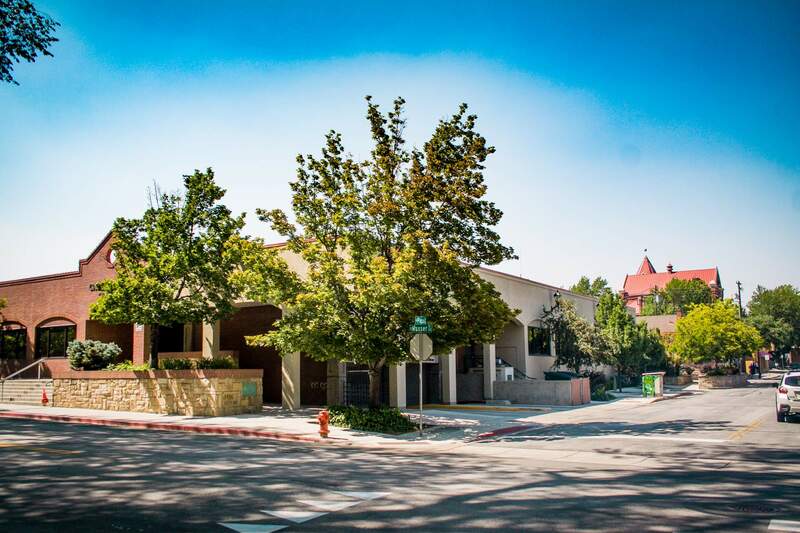 One of those buildings is seen here, the International Order of Oddfellows Hall on the corner of Musser and Plaza Streets, just one block east of Carson. 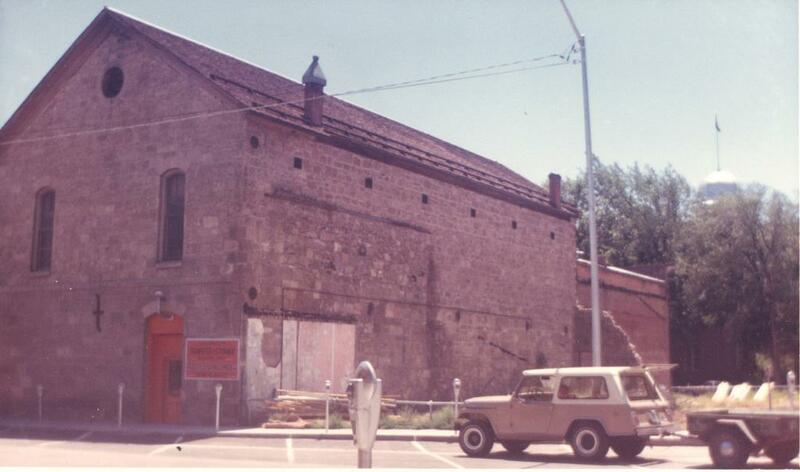 This stone building stood for almost 100 years, but it was razed in the 1970s. This photo comes from local photographer Tom Davis, who witnessed some of this destruction in the 1970s and was prescient enough to start photographing these old buildings to preserve their memory, even if the buildings themselves couldn’t be preserved. After the demolition, this whole block became home to the Security Bank of Nevada. 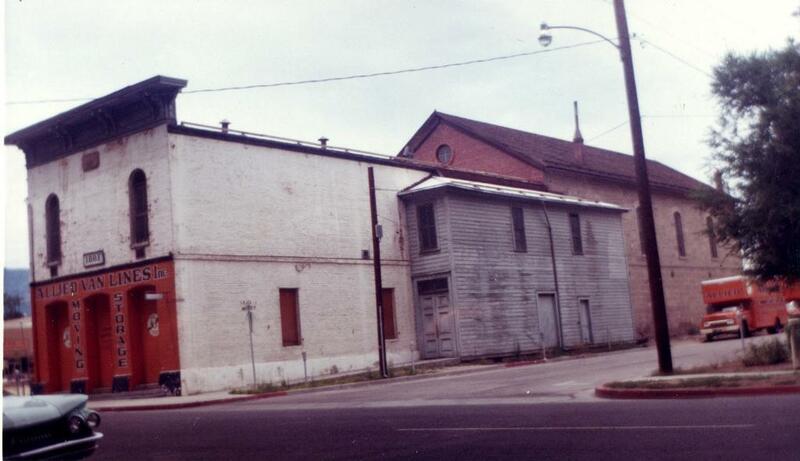 This sprawling low building was a poor substitute for the historic buildings it replaced. 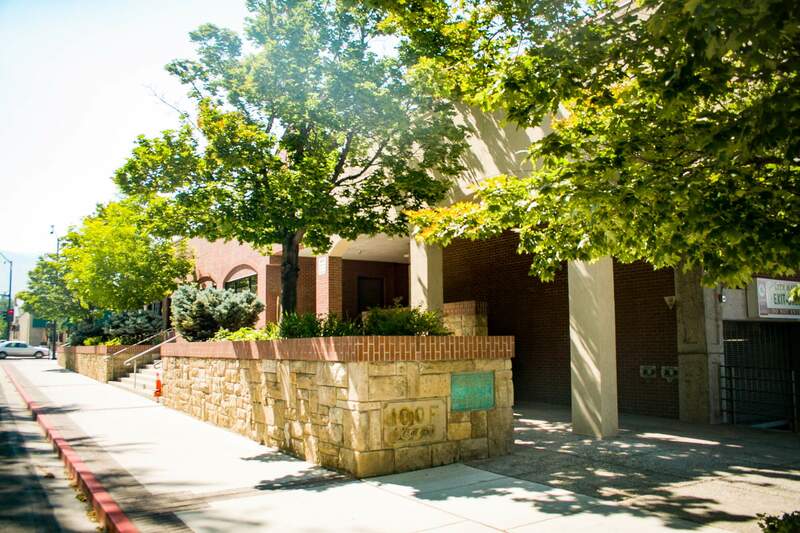 A couple of decades later, the bank moved out and Carson City moved in. Today this building, right across the street from the State Capitol, is home to Carson’s City Hall. 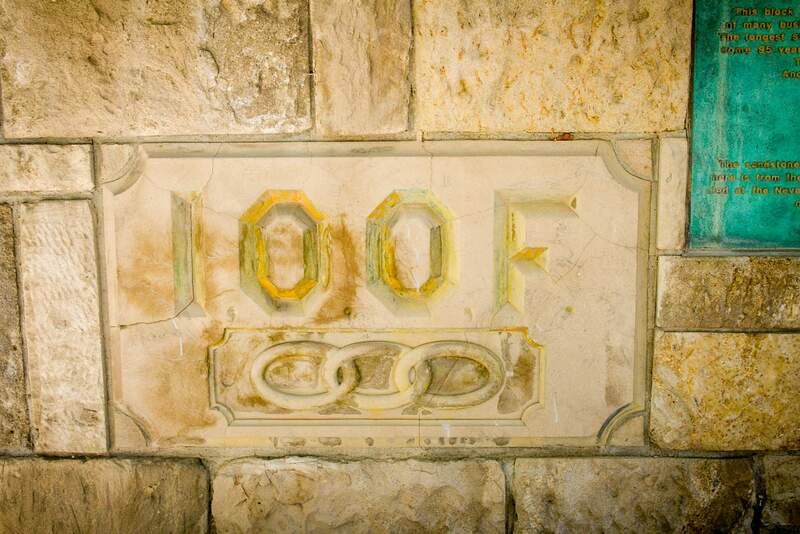 Along the side of City Hall is a small tribute to the IOOF Hall that used to sit on this site, including a wall built out of sandstone bricks taken from the demolition. An earlier photo of the Hall, when it was being used by Allied Van Lines. A photo showing the Hall from the back, with a focus on the larger building at Proctor and Plaza. 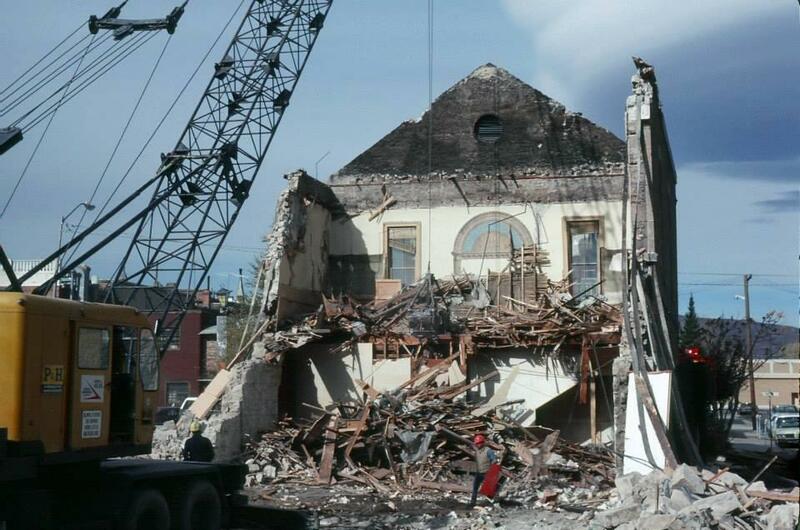 And another photo by Tom Davis showing the demolition.